"It sounded like a waterfall in here," said one homeowner whose house was inundated with water from the nearby San Lorenzo River. Despite years of drought conditions, a number of Bay Area waterways overflowed during the weekend onslaught of rain. Parts of Santa Cruz County experienced flooding brought on by all the rain. A lot of people are still trying to clean up. In the Santa Cruz Mountains, one homeowner had a river, literally, rush into her house, carrying away furniture, personal belongings … and the homeowner. 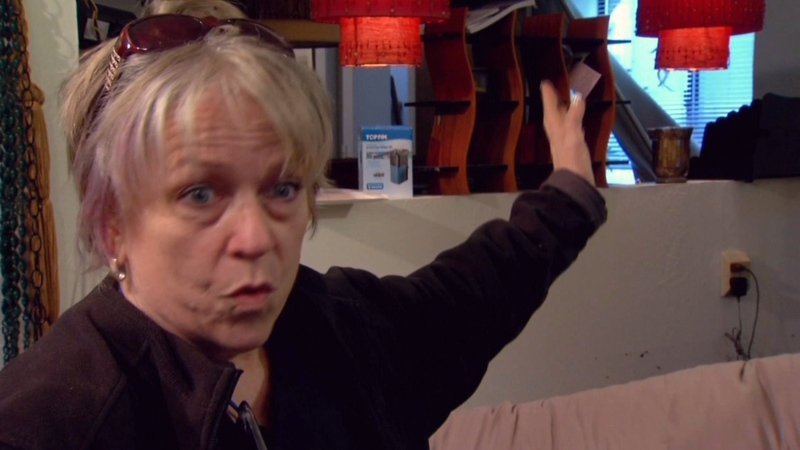 Dr. Karen Kirby is used to dealing with people in shock, but this time, as the Santa Cruz psychiatrist showed NBC Bay Area the devastation done to her home by the flooding, she's the one trying to recover. She says she was upstairs when she heard what turned out to be the San Lorenzo River behind her Paradise Park house rising up and crashing into her home, filling it with 3-to-4 feet of extremely dirty water. "It sounded like a waterfall in here," Kirby said. "The doors had all popped open. I'm not even sure where it was pouring in, kind of through the opposite side of the house and through windows." Kirby says she waded through the house and suddenly realized she had put herself in danger as the water rose up and enveloped her electronic equipment. "I was like, 'I'm going to get electrocuted.’ I was just terrified. I just froze." According to Santa Cruz County, the San Lorenzo River went over its official 18-foot flood level, Soquel Creek surpassed its flood level by almost 2 feet, and Corralitos Creek also peaked by more than a foot. Kirby is having a restoration company evaluate what repairs need to be done and what can be salvaged. She says she's not sure there will be much left. River levels have subsided, and the San Lorenzo River, Soquel Creek and Corralitos Creek are all back below flood levels, according to county officials. The flooding caused evacuations for residents living west of Porter Street along Soquel Creek, in Felton Grove and at Paradise Park along the San Lorenzo River. In addition to Kirby’s home, there were several structures impacted by the flooding, and several county roads were closed due to mudslides, floods or downed trees.